I remember what it was when I was a kid. Sitting home watching my favorite shows and movies whenever they came on TV, that would then have my siblings and I pretending afterwards that we were on that same adventure. Life is a little bit easier for our kiddos with Netflix. With a touch of a button they can watch lots of adventure shows and movies as many times as they want without commercials or waiting for it to come on television. My kids have been loving their summer so far, hanging out with friends, getting into their own mini adventures, but our weather this summer has been kind of wacky, it's been raining quite a bit where we live. 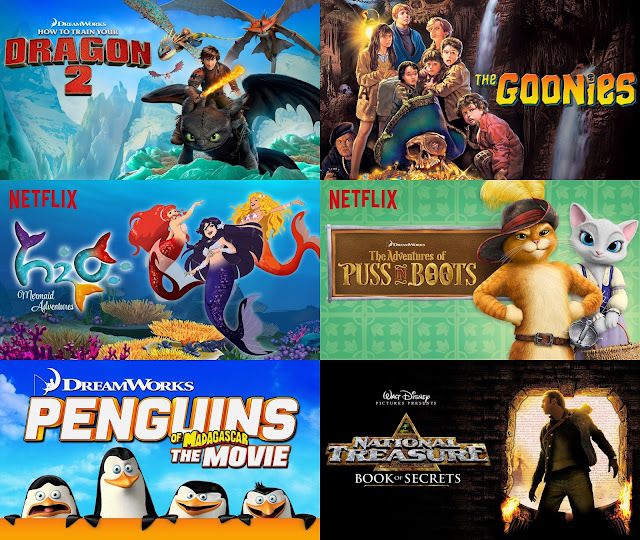 So on rainy days when the kids are stuck inside, it's great to know they can watch adventure happen on screen watching kid friendly shows and movies on Netflix. There are lots of great titles to feel their adventure needs. 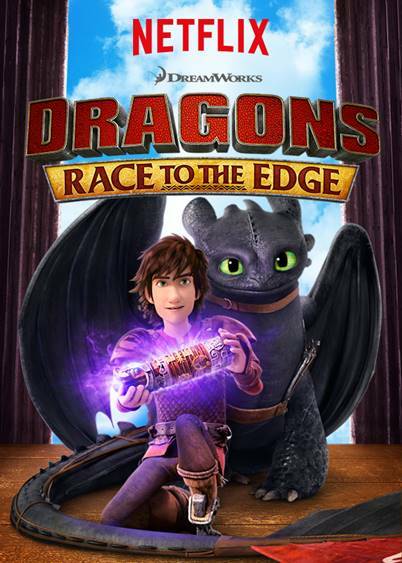 Speaking of adventure movies and shows, if your kids are fans of the How To Train Your Dragon movies, then they're going to love that Netflix has just released a television series, Dragons: Race to the Edge following both Hiccup and Toothless. This series is filled with adventure that will keep your kiddos entertained. Along with the Dragons: Race to the Edge series, here are a list of a few other adventure shows/movies that you can stream on Netflix. One of my childhood favorite shows, The Goonies is now on Netflix. I love that I can watch this childhood favorite of mine with my kids. Another favorite of ours is The Adventures of Puss in Boots. This is one of my son's all time favorite, so it streams pretty often in our house. What are some of your family's favorite adventure shows or movies to stream? Disclosure: I am part of the Stream Team Campaign with Netflix and I receive special perks as part of my affiliation with this group. The opinions on this blog are my own.